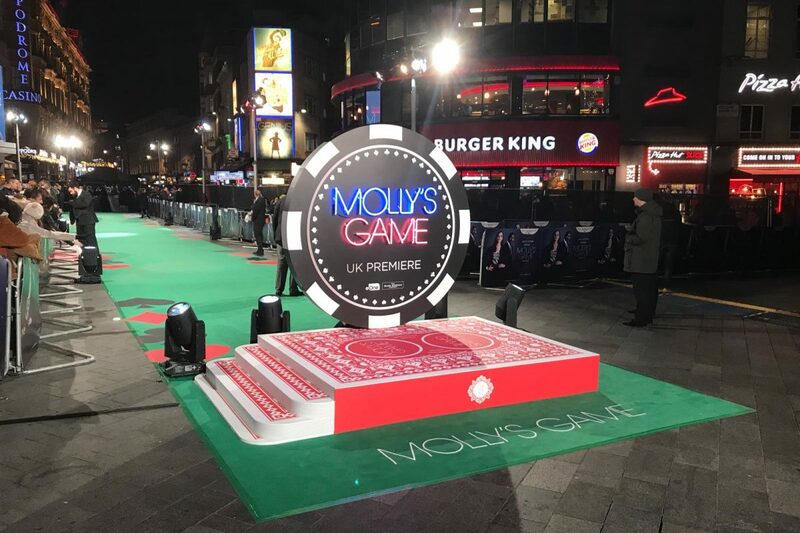 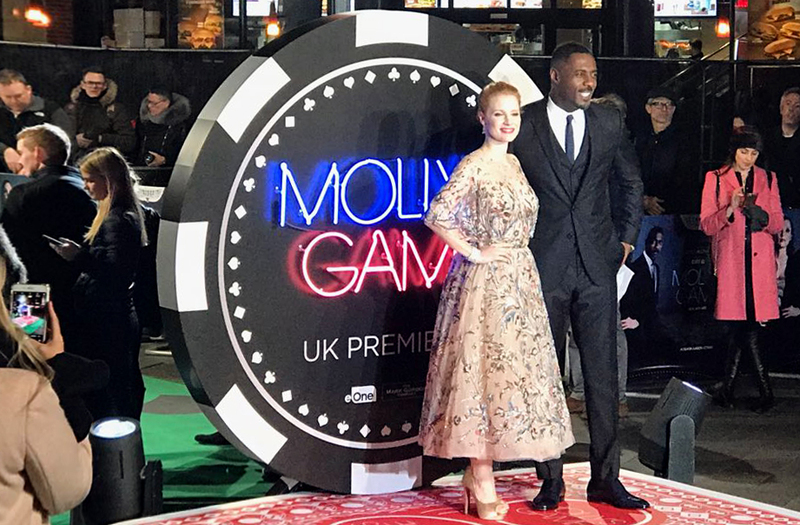 Molly’s Game, starring the inimitable Jessica Chastain and Idris Elba, charts the true story of the woman who ran the world’s most exclusive poker game, bringing her to the attentions of the FBI. 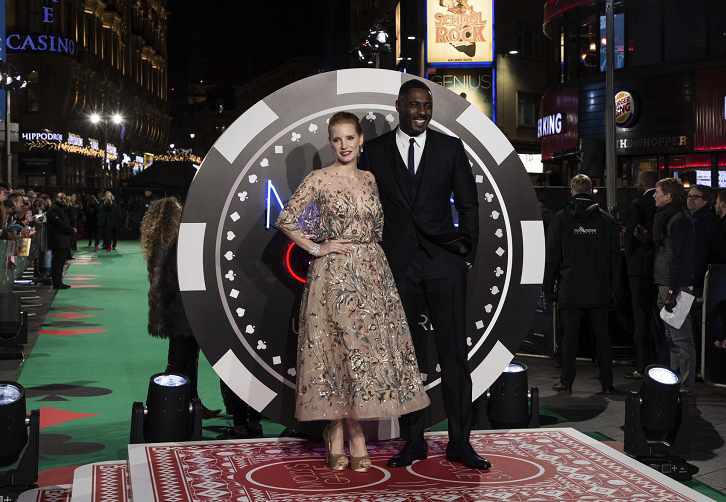 The premiere in Leicester Square was a suitably lavish affair, and Kemp London played a significant role in it. 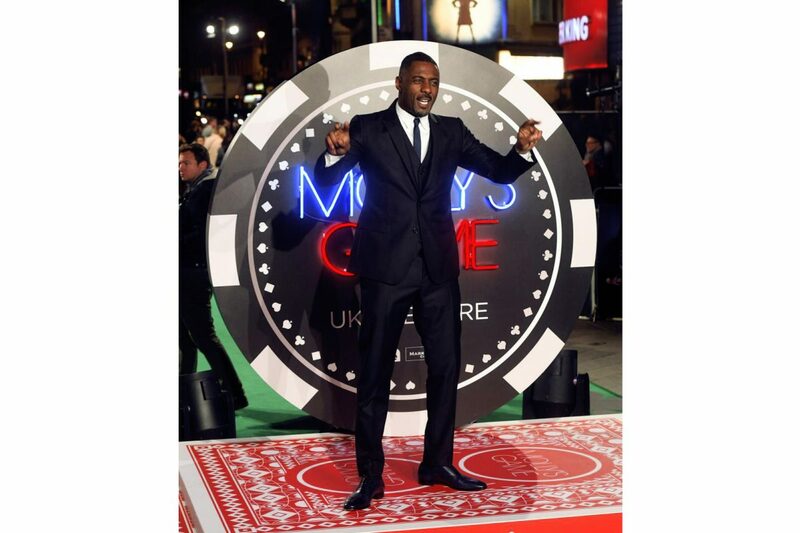 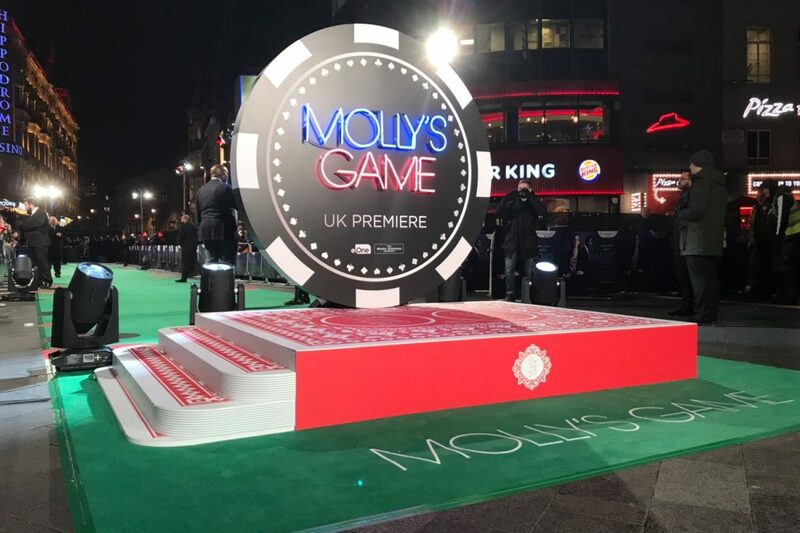 We produced a bespoke poker chip that included neon signage spelling out ‘Molly’s Game’ in bold blue and red. 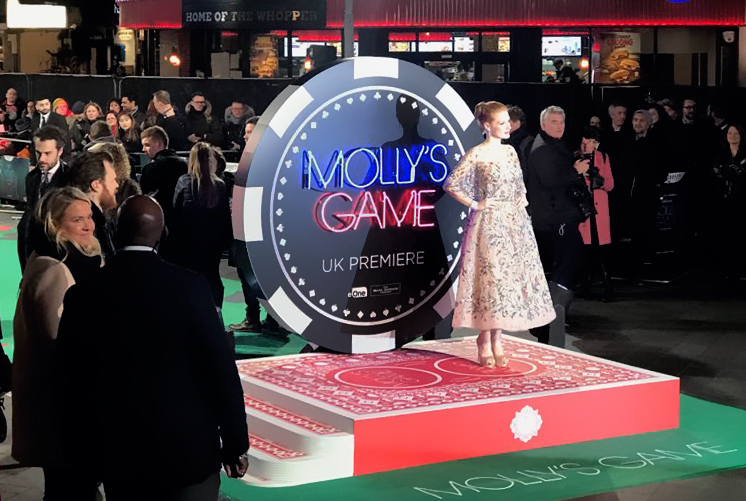 The huge chip served as a backdrop for countless photographs of the premiere which appeared in the press.